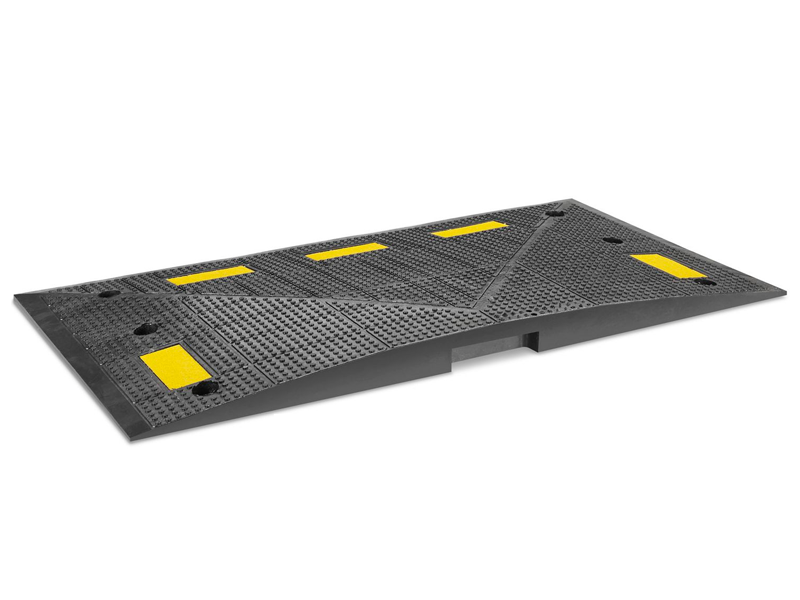 The new and improved Safety Rider® V Mini Humps are an affordable solution that slows vehicles down while maintaining a continuous traffic flow. 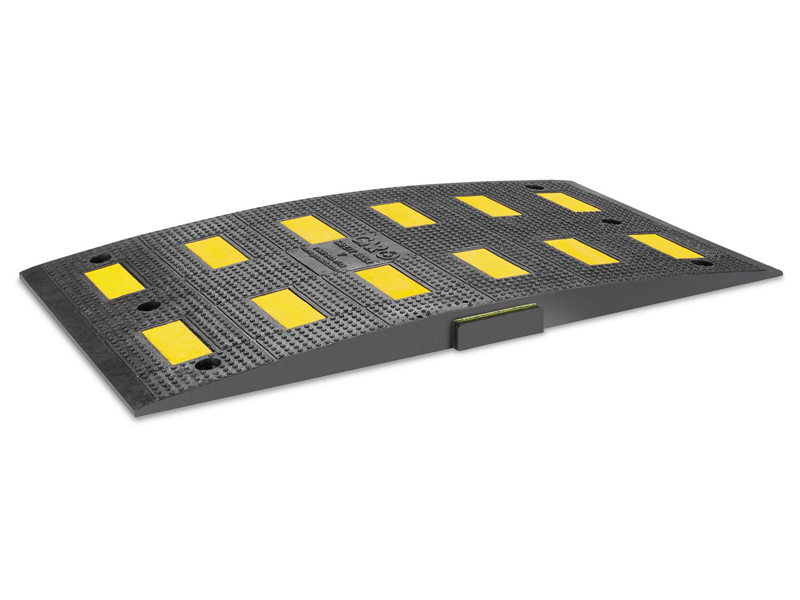 The recycled rubber mini hump is constructed of interlocking units allowing you to customize the solution to fit the width of any roadway. Our unique end caps include reflective tape, further enhancing visibility and safety. 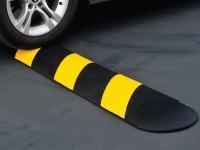 The Safety Rider® V mini speed hump is an economical speed reduction device made from vulcanized rubber. Unlike asphalt, the rubber mini hump is molded to spec creating a uniform and reliable solution to slow vehicle traffic. 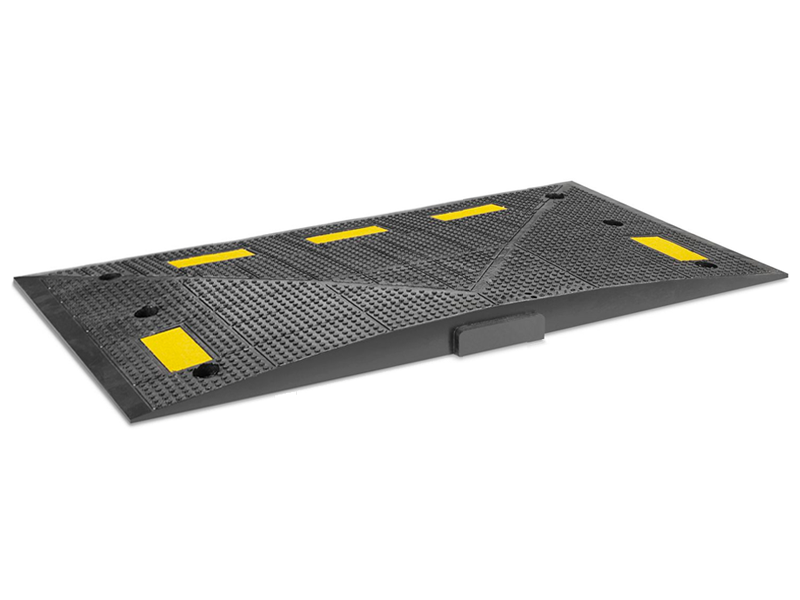 The mini humps are simple to install and do not require road closures or ideal weather conditions. Plastic shields are inserted into pre-drilled holes and the units are bolted down to keep them from shifting. The Safety Rider® V is ideal for slowing traffic in front of gates, toll booths, all parking access facilities, and anywhere slow traffic flow is required. 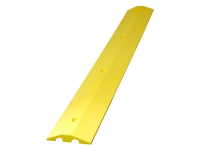 Our durable solution also holds up well to heavy load-bearing truck traffic. Reflective tape on both the mid-sections and end caps provide optimal visibility, even on a dark night, alerting drivers well in advance. 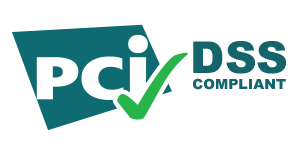 Safety Rider® V is covered by a 3 year warranty on the product; 1 year warranty on the tape (under normal use).